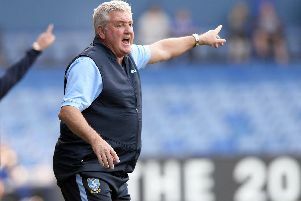 There was good news and bad news on the team front for Sheffield Wednesday as Jos Luhukay addressed the media before the Owls Championship match against Middlesbrough at Hillsborough on Friday night. Watch the video for The Star’s Owls writer Dom Howson’s run through of the key points from Luhukay’s briefing. Fernando Forestieri is out ‘for the next few weeks’ after suffering a hamstring strain against Bristol City. Marco Matias remains unavailable. Barry Bannan is fit, as is Steven Fletcher. Both suffered knocks against Bristol City before the international break. Morgan Fox and Sam Hutchinson are also available for selection. Meetings have taken place to discuss a new contract for Matt Penney. Luhukay is confident it will be resolved in the next few weeks. After his recent form, Luhukay says the striker still needs to find a level of consistency but says he is a very important player, as he showed against Bristol City. Luhukay says Joao is capable of breaking back into the Portuguese national team again.